Proving that AFSCME Never Quits, AFSCME Local 7 members and volunteers from five Toledo local unions, along with several Toledo Whitmer High School football players, came together over a blistering hot weekend to replace the roof at Mom’s House, a non-profit organization that helps low-income single mothers as they work to achieve the educational goals needed to become effective parents. 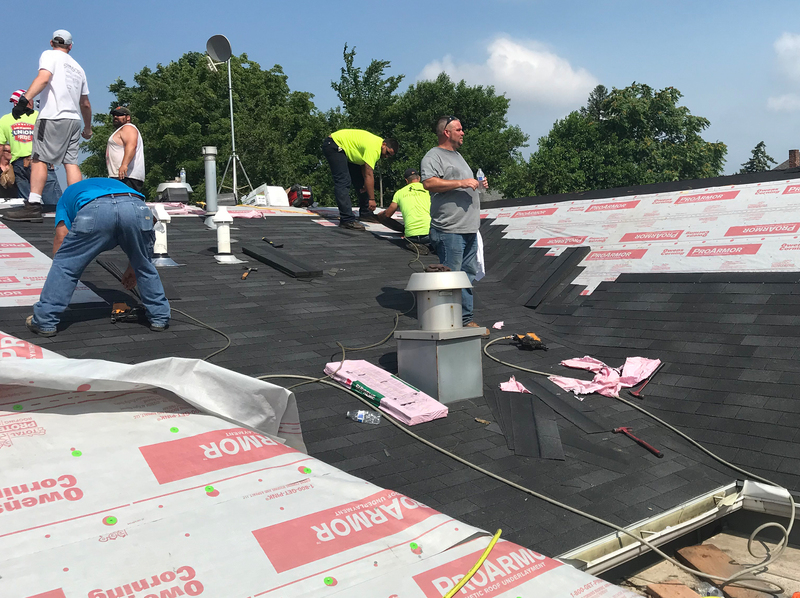 Work replacing the 21-year old roof started at 6 in the morning “and ended at 1:30 in the afternoon when roof top temperatures reached 115 degrees,” said Don Czerniak, president of the union for Toledo’s blue-collar city employees. “One of the great things about Mom’s House is it affects the lives of two generations by providing education opportunities for both parent and child. And we think that makes our community stronger,” Czerniak said. “Everyone here is here on their own time. 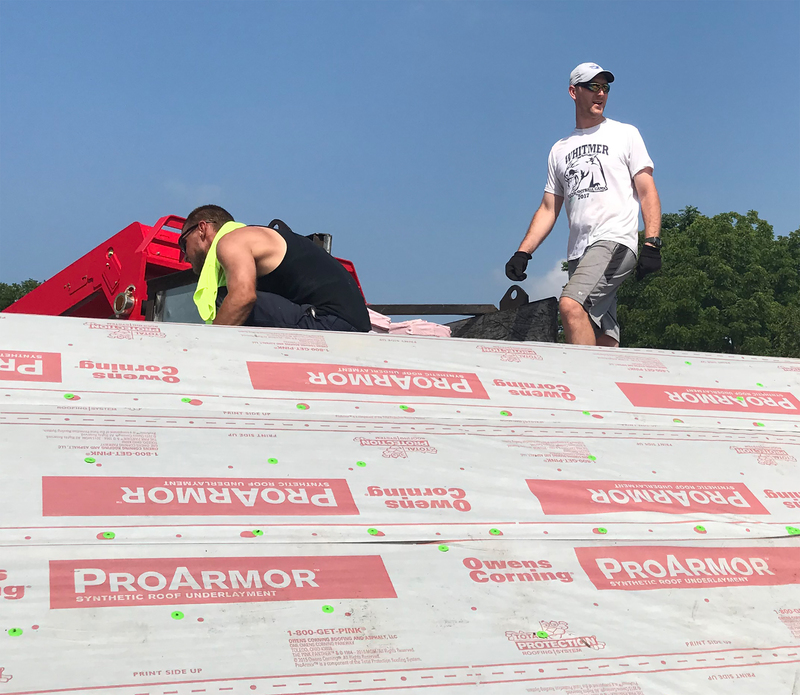 It’s the hottest day of the year and they’ve made a decision that they’re going to come help us, and for us that means the world. We can’t function without our community,” said Christina Rodriguez, Executive Director of Mom’s House.